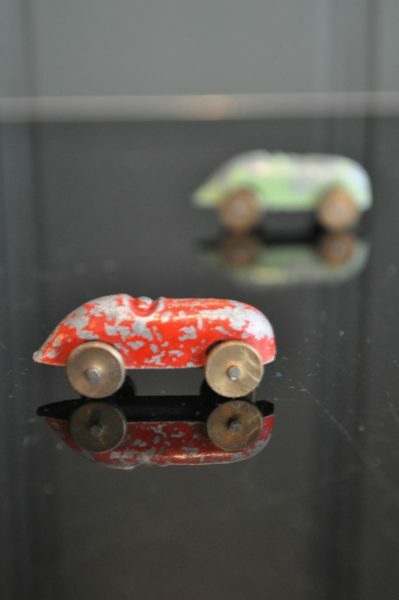 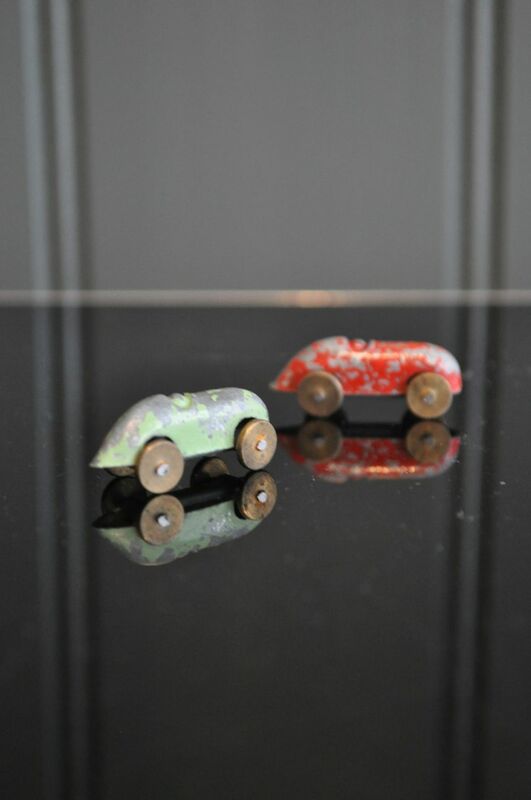 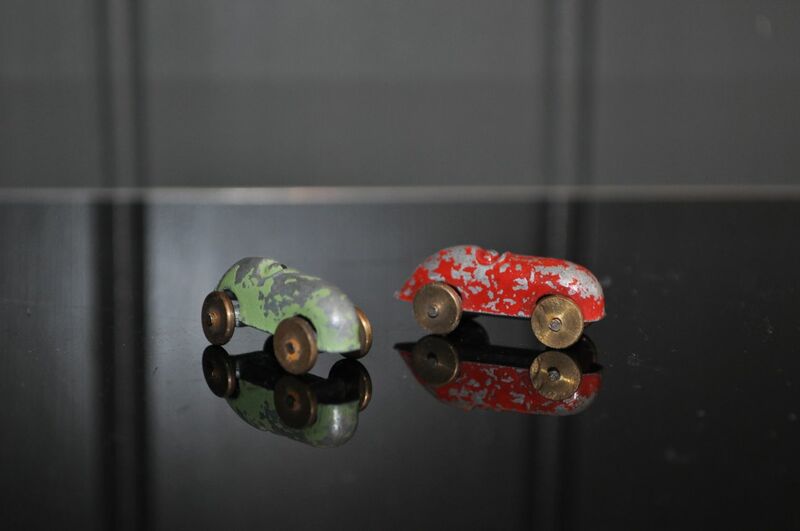 Tiny cast alloy motor cars with original faded red and green paint. 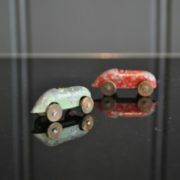 Please note the dimensions below! 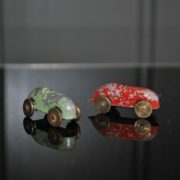 Would make good stocking fillers perhaps..
Price is for the two.